Former NHLer Sheldon Kennedy will be the guest speaker at the Redvers Sportsman Dinner. 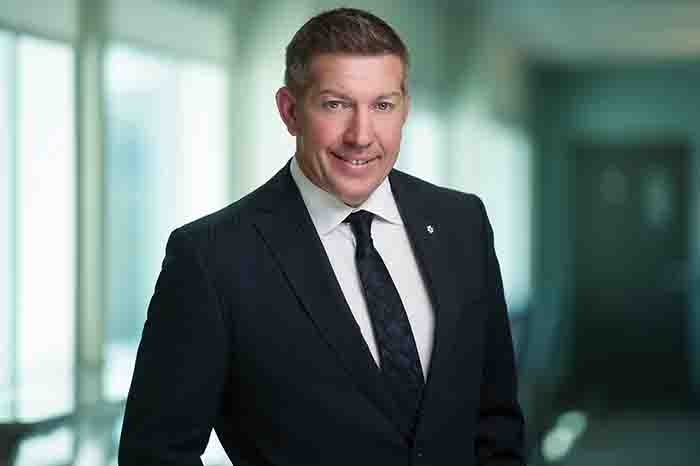 Hockey legend and abuse survivor Sheldon Kennedy will be the guest speaker at the Redvers Recreation Sportsman Dinner and Auction being held on Saturday, April 13 in Redvers. The event is a fundraiser for the town’s recreation facilities, specifically the Redvers Rec Centre, and the ball diamonds. Rec Director Alicia Stewart says the town of Redvers used to have a sportsman dinner annually as a fundraiser, but it hasn’t had one for a few years now. “It was our major fundraiser for the rec centre for many years and then it started to die off a little bit, so we stopped doing it for a couple of years,” she says. Stewart says it was town councillor Ryan Tom’s idea to get Sheldon Kennedy in as the speaker this year. She says Kennedy is planning to speak on a lot of different topics at the dinner—from his sports career to the Humboldt Broncos bus crash and Swift Current Broncos bus crash (which Kennedy was in), to his work with agencies dealing with abuse. “It will be a little bit of everything from the sounds of things,” says Stewart. Kennedy is originally from Elkhorn, Manitoba. Stewart says they are hoping to sell between 350 and 400 tickets, with the money going toward rec centre maintenance and the ball diamonds in Redvers. “I was pretty nervous for a while, but this last week things are picking up for ticket sales,” she says. “Obviously we’d like to sell out at 400. My goal right now is 350, because I think we can hit that. If we can get to 350, it will be a successful event for sure. “The last year we had it we raised a significant amount, it was around $20,000, so we would like to hit that again at least. It makes life around the rec centre a lot easier when you have a little bit of money to play with. Because there is always something that needs to be fixed and looked at. “The ball diamonds need a little extra love out there as well—some new benches and new fencing on the one diamond, that kind of stuff. After supper and the speaker, there will be both silent and live auctions at the event. Stewart says the night will also honor local hockey talent. “Anyone who has played Junior A hockey and above, we are bringing them in to give them a little recognition. It’s going years back. We have 36 on the list of people out of Redvers that have carried on,” she says. “They are each getting a little plaque that is going to be put in the rec centre after, and we are bringing them all up, saying where they have played and giving a little history on each one. “Dean Kennedy is also going to be down. He’s from Redvers and he was in the NHL, so we are going to be having a bit of a Q&A time with the two of them (him and Sheldon Kennedy) as well.